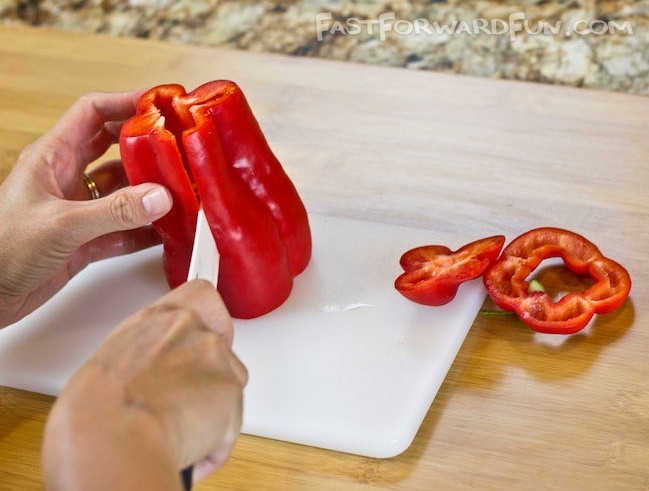 The easiest and fastest way to cut a bell pepper into strips! 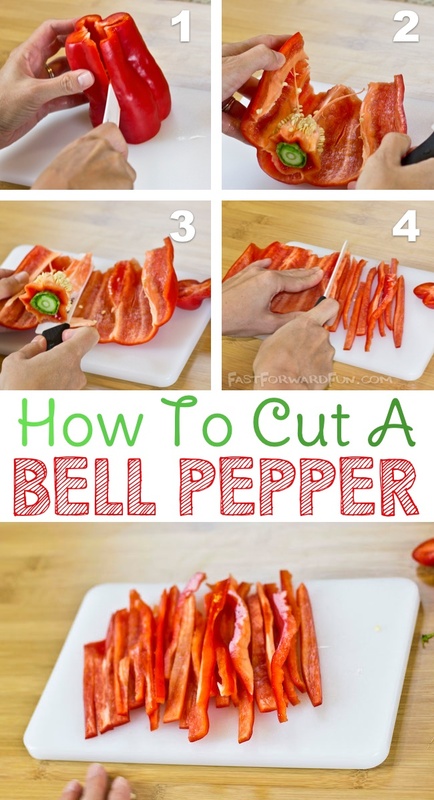 It’s sad to think of all the bell peppers I’ve mutilated, only to realize I’ve been cutting them wrong my entire life. 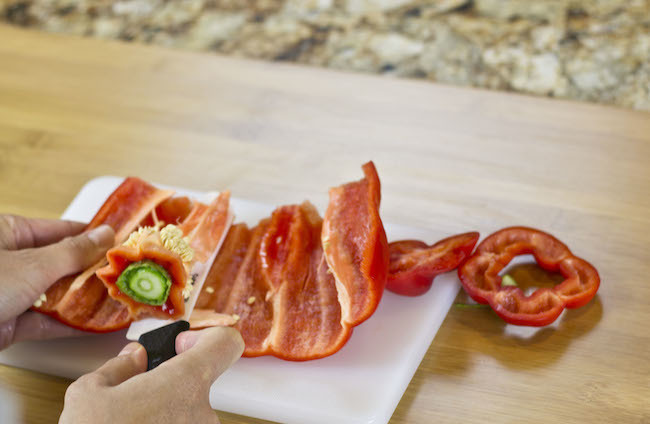 Because bell peppers can be a little tricky, we’ve created a short and fun video tutorial (and step-by-step photos) to show you how to get the perfect strips every time. 1. 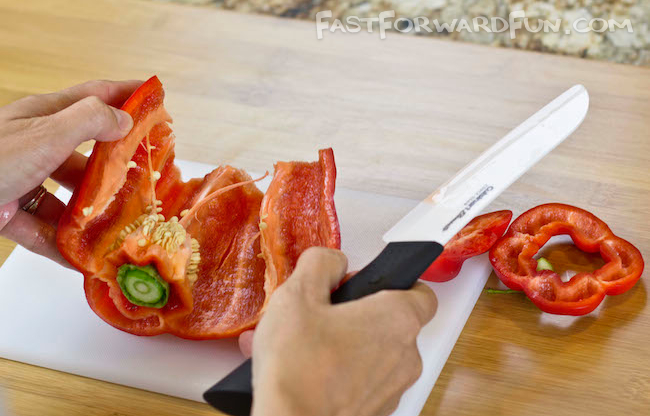 Cut the ends off, and slice the bell pepper length wise down the middle. 2. 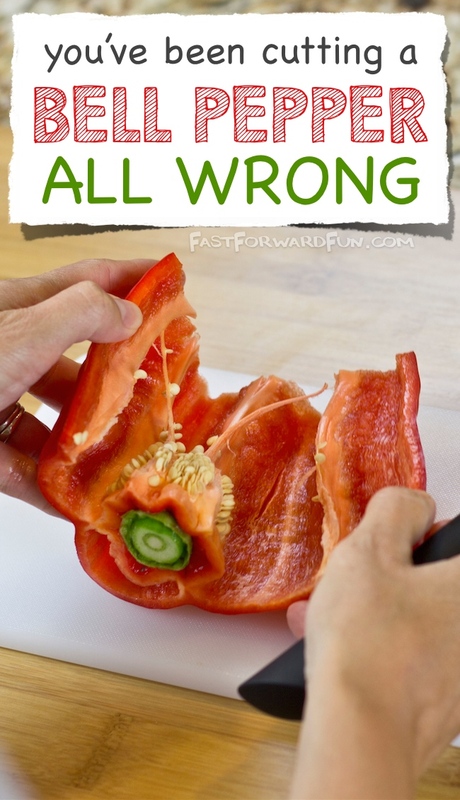 Open the bell pepper to expose the inside. 3. 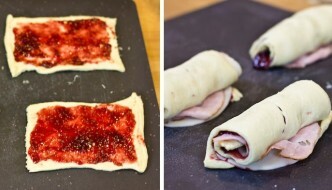 Use a sharp knife to carefully slice the guts out. 5. 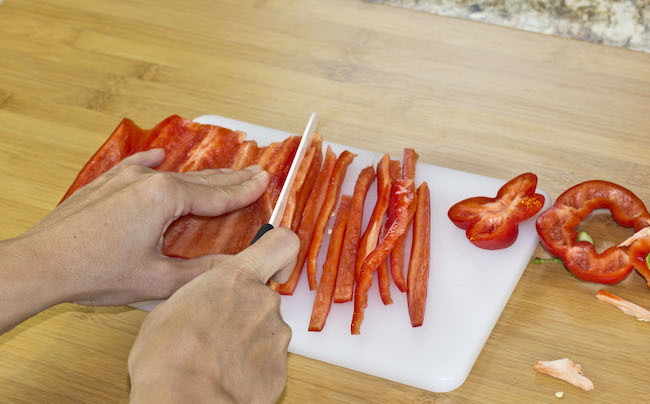 Slice your newly flattened bell pepper into strips. 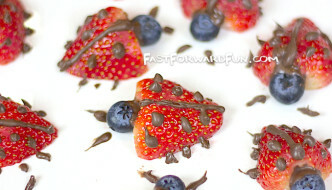 Here is a nice Pinnable image for all of my fellow Pinners!